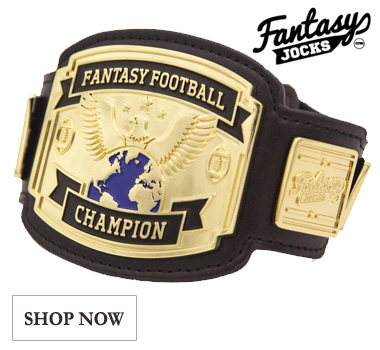 Fantasy football rosters can accumulate points in a variety of ways, depending on your league’s scoring system. However the most obvious driving force of a highly efficient fantasy player, regardless of which format you utilize, is the number of touchdowns they score. That means touchdowns are incredibly valuable not only in real life matchup outcomes but also in our fantasy duels. 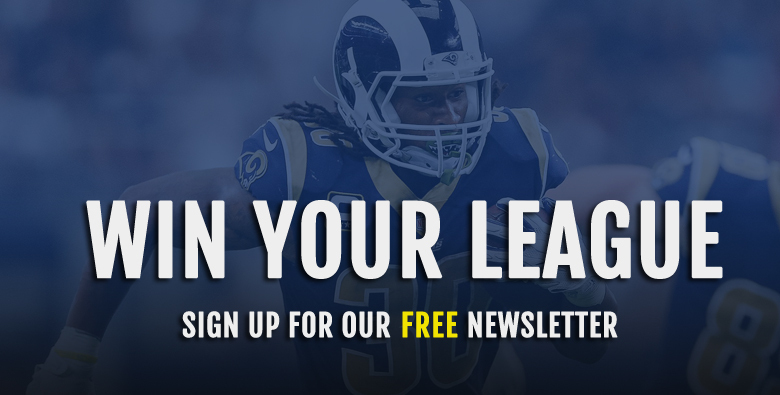 Whether you dabble in standard, PPR, or 0.5-PPR scoring formats (or a mix of each), a prolific touchdown producer can be a league-winning component of your team. Furthermore, it’s safe to say that we should expect most elite touchdown scorers to come from the running back position: In 2017, eight of the 11 (72.7%) NFL skill position players (RB/WR/TE) to score 10+ total touchdowns (rushing + receiving) were running backs. Todd Gurley lead the way with a whopping 19 total touchdowns. The only non-RBs in that group were DeAndre Hopkins (13 TDs), Jimmy Graham (10) and Davante Adams (10). Additionally, looking back at the 2016 season, we had 16 players score 10+ total touchdowns, 10 of which were running backs (62.5%). Referring back to the 2017 fantasy season, here is the complete list of running backs who racked up 10+ touchdowns: Todd Gurley (19), Alvin Kamara (14), Mark Ingram (12), Melvin Gordon (12), Kareem Hunt (11), Le’Veon Bell (11), Dion Lewis (10) and Leonard Fournette (10). Now let’s take a look at how each of them fared in terms of fantasy production, using 0.5 PPR as a guideline. The chart is sorted by total touchdowns scored. Remarkably, seven of the eight 10+ touchdown fantasy assets finished as top-8 RBs in 2017, with LeSean McCoy being the outlier (RB7 with 8 TDs). Dion Lewis, who touched the ball much less than the rest of these backs, still managed to finish as a borderline RB1, which can directly be attributed to his prowess for locating the end zone. It’s easy to predict that most, if not all, of last year’s 10+ touchdown-scoring running backs, will be back in that same conversation this season. That being said, I decided to gear this article towards running backs who haven’t piled up double-digit touchdown seasons in the past few seasons (or ever), removing all of last year’s case studies. That eliminates no-brainer candidates like David Johnson, Ezekiel Elliott, LeSean McCoy, Devonta Freeman among others. Pinpointing a few running backs who have a legitimate chance at collecting 10 or more touchdowns in a season gives us a competitive advantage on draft day. Obviously, each player and scenario has its obstacles, but if you can gamble on a few running backs who have the potential to lead the league in touchdowns, that could very well be equivalent to hitting the fantasy jackpot. In no particular order, let’s take a look at some running backs with underrated touchdown potential in 2018. Giddy up! Let’s kick things off with one of my favorite running backs in 2018 (and beyond). The almighty “King Henry” stands at whopping 6’3″ and weighs in just under 250 pounds, but he is not at all limited by his gargantuan build — Henry blazed a 4.5 during his 40-yard dash as an incoming pro in 2016. A short-yardage thumper equipped with clock-killing chops (thanks to his durability and tendency to rip off long runs late in the game), Henry is a prime example of an undervalued touchdown producer heading into the 2018 season. 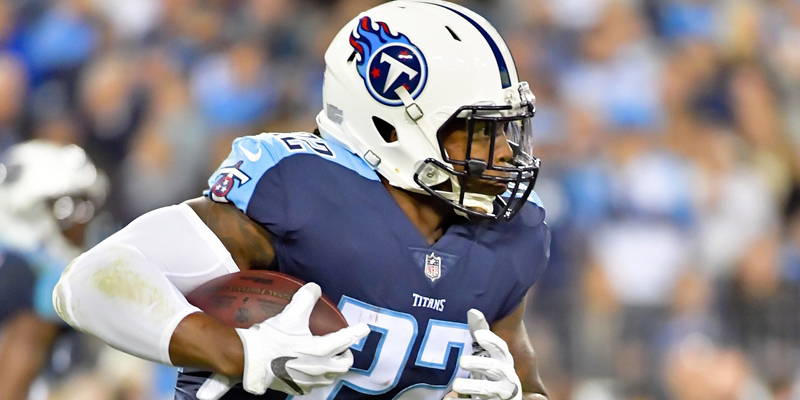 Thanks to a soft schedule and a top-5 graded offensive line, Tennessee figures to create plenty of room to run for Henry and Dion Lewis, who was recently added in free agency after saying goodbye to DeMarco Murray. Multiple sources have confirmed that the Titans plan to use Henry as their lead back, with the versatile Lewis rotating in quite often. That shouldn’t be seen as an issue for those of us seeking possible touchdown hogs like Henry. 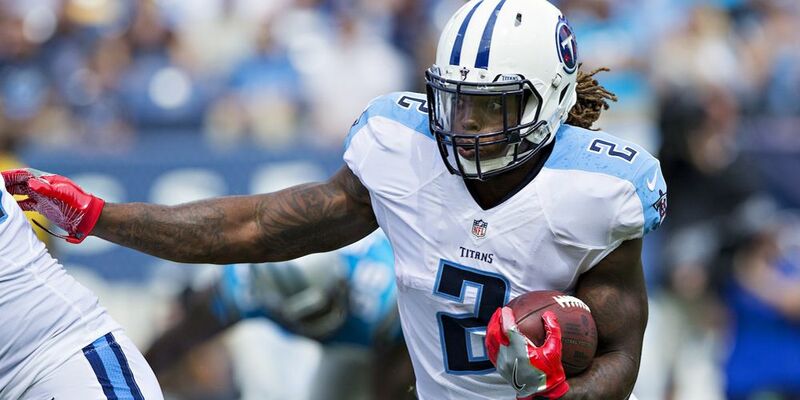 In a young offense commanded by creative OC Matt LaFleur, who just squeezed a massive statistical year out of Todd Gurley in Los Angeles, Derrick Henry easily has 10+ total touchdowns in his range of potential outcomes. Second-year pro Joe Mixon came into the league with plenty of question marks, yet very few of them related to his on-field abilities. 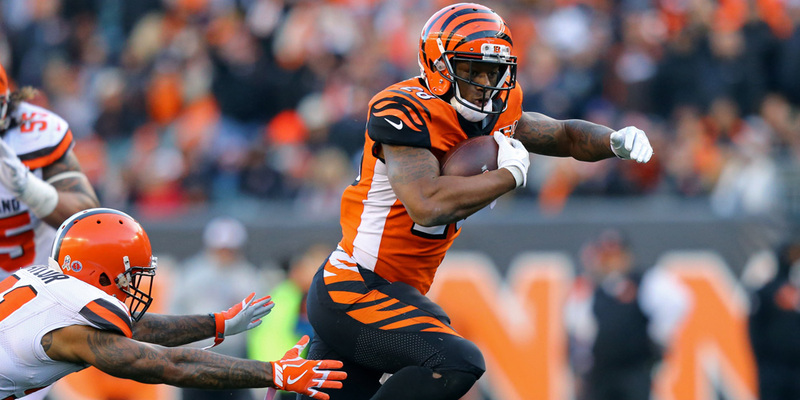 Although he was forced to split backfield touches with Giovani Bernard and Jeremy Hill on a struggling Cincinnati offense in 2017, Mixon flashed his big-play ability on more than a few occasions. According to the Bengals’ director of player personnel Duke Tobin, Joe Mixon should enter the 2018 season as the team’s “bellcow” back. Unlike the aforementioned Titans, the Bengals offensive line struggled mightily last season, which didn’t bode well for any of their runners. However, they should be at least marginally better this season after selecting center Billy Price in the first round of the 2018 NFL Draft and signing ex-Bills tackle Cordy Glenn to man the left side of the line. Even if Gio Bernard (or rookie Mark Walton) were to siphon a few touches per game from Mixon, I’m confident he has the talent and workload to deliver big numbers this year. One major reason to be optimistic in terms of Mixon’s total touchdown potential is his ability to catch passes and make defenders miss. This creates an edge for him to add to his total scores by not just relying on rushing touchdowns. Additionally, Mixon dropped his weight down to 218 pounds after playing at 230 as a rookie, which certainly should help his conditioning — something a true workhorse needs. With his projected touch total and obvious athleticism, Joe Mixon has the chance to score double-digit TDs. 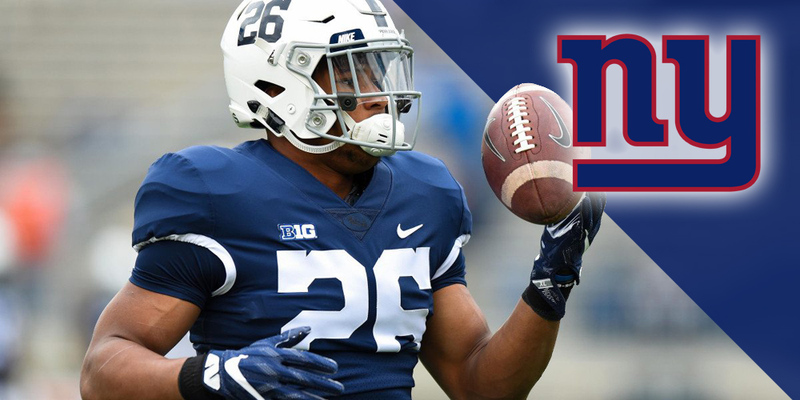 Not many rookies enter the league with such a frightening combination of talent and opportunity, but that is exactly what we have on our hands with Saquon Barkley. The Giants had a weak offensive line last season, and that unit needed to be upgraded heading into 2018 if Barkley was going to have some running lanes. Luckily, they added ex-Patriot Nate Solder at left tackle through free agency and Will Hernandez at guard via the draft. Even if those moves don’t drastically enhance NYG’s line, it should definitely be good enough for the phenom out of Penn State to provide RB1 fantasy stats. With a balanced offense that shouldn’t struggle to move the ball down the field, Barkley will likely get dozens of red zone touches. Pair that with his immense skill set, and Barkley is a virtual lock to eclipse the 10-TD mark in his first pro season. He’s already a first-round pick in most leagues, but if he stays healthy and maximizes his touchdown potential, I believe we could be looking at next year’s RB1 in all formats. Leading the league in touchdowns in the 2018 NFL season is a realistic outcome for this special kid. Although I intended to only list players who have never scored 10+ touchdowns before, I had to make an exception for Marshawn Lynch. Although it may not feel like it’s been this long, the man known as “Beast Mode” has not exceeded 10 touchdowns since 2014 in Seattle. I have a hunch that might change in what could be his last season in the NFL, and almost certainly his last in silver and black. 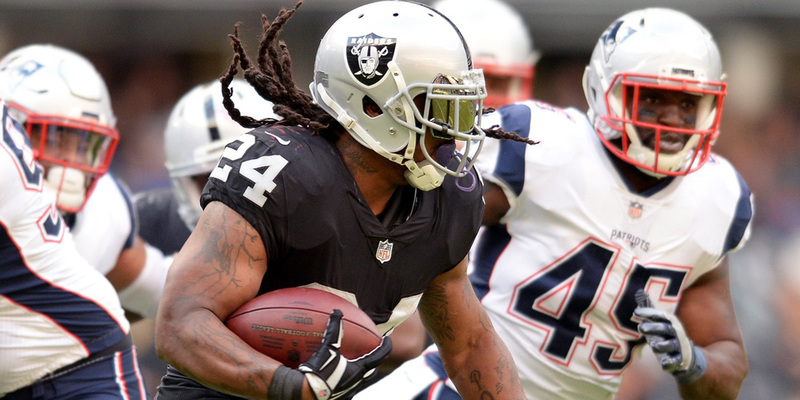 After being a committee back for the first half of last season, the Raiders somewhat committed to Lynch as the year went on. From Week 12 on, he averaged nearly 100 yards from scrimmage on a team that doesn’t have the same talent level it appears to have in 2018. Lynch also displayed high-end elusiveness and an ability to get yards after contact as recent as last season. Also working on his side for a touchdown-heavy season is the Raiders solid offensive line and soft schedule. Lynch has historically gotten better with more carries, and that is precisely what new HC Jon Gruden must implement in 2018 if he wants to oversee a successful rushing attack. When I consider his ADP versus other backs with high touchdown upside, plus the potential of a multi-score outburst on any given Sunday, Marshawn Lynch strikes me as a low-risk fantasy investment who could pay off in a 10+ TD kind of way. After coming up just one touchdown shy of hitting the 10-TD mark last season, Jordan Howard rounds out my list of running backs with undervalued touchdown potential entering the 2018 season. Howard is a bruising back with decent speed, but lacks the ability to cut and change gears, not to mention his awful hands — he “leads” all RBs with 14 drops over the past two seasons and will lose work to Tarik Cohen on passing downs. All of that said, he’s shown to be an effective runner with a nose for the end zone, scoring seven times as a rookie and nine times as a sophomore. 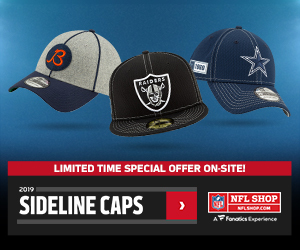 More importantly, Howard and the Bears should get a major boost in the play-calling department with the exit of stone-age HC John Fox, and in turn, the entrance of new HC Matt Nagy. Hopefully, instead of ramming their backs into stacked boxes, the Bears will wisely call plays and packages that actually work for their skill players. For instance, Howard is a much better runner out of the shotgun, which is sure to be a heavily utilized formation in Chicago’s revamped offense. With a plethora of weapons surrounding second-year quarterback Mitchell Trubisky, I believe Howard and the Bears as an entire offense will experience more success in 2018. 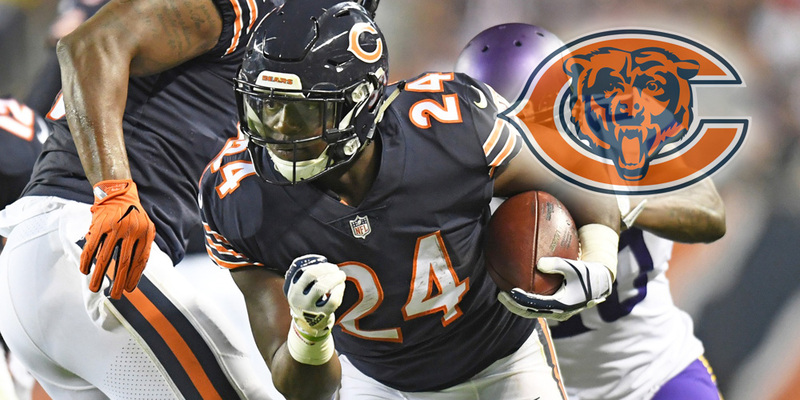 After I came to terms with his flaws, I was able to focus on Jordan Howard’s strengths heading into this season. All in all, he’s a proven touchdown producer who is one of a handful of runners capable of racking up 10 or more scores and becoming a force in 2018, making him a fantasy option worth pulling the trigger on. So you might be asking yourself, does a running back need to score an abundance of touchdowns to be a fantasy-relevant option? Certainly not — Carlos Hyde and Christian McCaffrey were both RB1s last season, yet combined for just 15 total touchdowns. Although not a necessity for a stud fantasy running back, scoring touchdowns surely helps. We can see from previous years that scoring 10 or more touchdowns will most likely vault a player into the top tier of their position. When we’re able to pinpoint back with the potential to stockpile touchdowns, our rosters have a better chance at landing an RB1. While it’s possible all of the running backs on this list fail to reach double-digit scores in 2018, I think the probability of them scoring on 10+ occasions is worth the risk at their current draft positions. If you can acquire one or more of these backs with undervalued touchdown potential in 2018, you very well may be acquiring the high-scoring foundation for a championship run.